While her husband Rusty, a NASA engineer, was at work, Andrea Yates filled the family bathtub with water and systematically drowned their children, ages six months to seven years. As her eldest child lay lifeless in the bathtub and the bodies of her four youngest rested in her bed, Andrea, a devoted Christian wife and former nurse, called the police to confess her sin. The investigations by the prosecutors, by the defense, and by the press delved deeper into Andrea's mind and history, revealing a disturbing web of suicidal tendencies, depression, and psychoses. While her husband struggled between his overwhelming grief and his loyalty to his incarcerated wife, an outraged nation asked one question after another: How could anyone do this? What would drive a mother to kill her children? 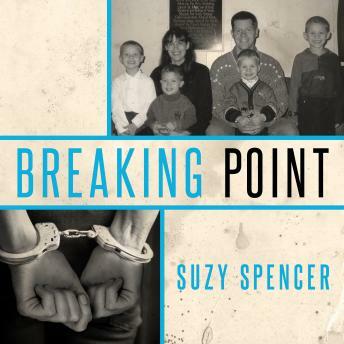 Drawing from hundreds of hours of interviews, court testimony, and medical records, including new access to psychiatric and legal files, Breaking Point delves deeper into an all-American family struggling with the darkness of a mental illness that twisted a loving mother into a killer obsessed with hellfire.